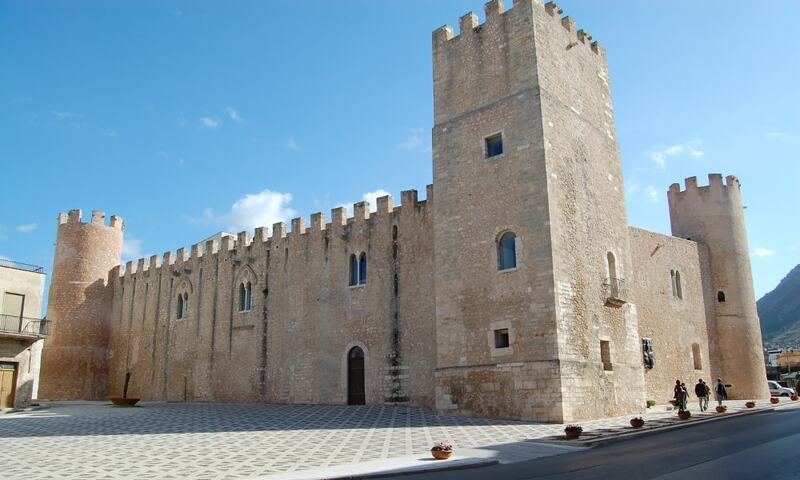 Castle of the Counts of Modica has a rhomboidal shape, with a nearly rectangular courtyard. At the corners there are four battlemented towers (two square and two circular shaped), each of them with a particular function. On the castle sides there are double and triple lancet windows of Gothic-Catalan derivation. Originally it had three doors, placed on the south,west and north sides. In the past the castle was bounded by walls which served to hinder the castle's siege by war machines.